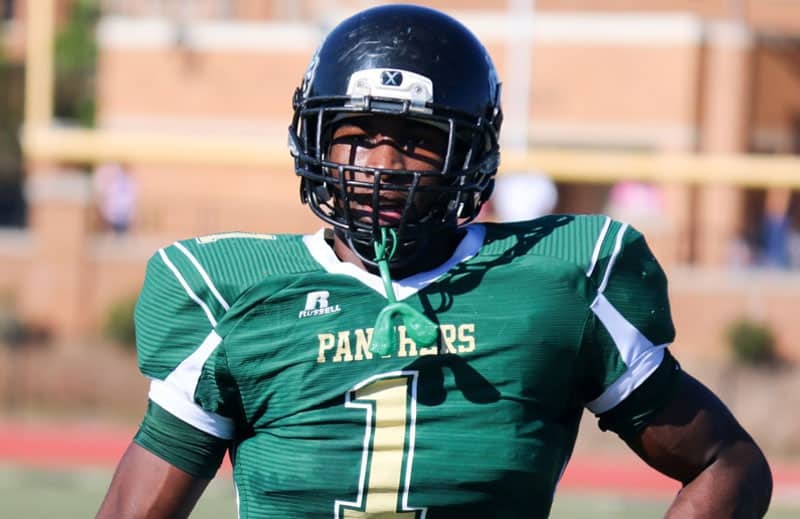 Four-star defensive end D’Andre Walker has committed to the Georgia Bulldogs for the class of 2015. Walker made his announcement today at the U.S. Army All-American Bowl live on NBC. Walker (6-3, 212), who attends Langston Hughes High School in Fairburn, Ga., committed to the Bulldogs over Auburn and Tennessee. He also had offers from most of the top schools, including Alabama, Clemson, Florida, Florida State, LSU, Miami (FL), Missouri, Ohio State, Ole Miss, South Carolina, Texas A&M, and USC. In the 247Sports Composite rankings, Walker is listed as a 4-star recruit, the No. 10 weakside defensive end, and the No. 161 overall recruit. Rivals.com rates D’Andre Walker as a 4-star recruit, the No. 6 weakside defensive end, and No. 212 in the Rivals250 2015. The Bulldogs now have seven 2015 commitments for the defensive line. Walker joins Michael Barnett, Jonathan Ledbetter, Natrez Patrick (DE/OLB), Chauncey Rivers, Trent Thompson, and Justin Young.